It might not feel like spring right now, but spring really is just around the corner, and we've got lots of lovely ways to celebrate its arrival- including two brand new patterns, deliciously nostalgic Rose & Bee and soft, pretty Pink Wallpaper. Our sale is still on as well so there are lots of lovely bargains to be had! This deliciously nostalgic pattern is a new version of a rose design that we haven’t used for a while – we’ve kept its pale blue Persian border, but sprinkled the roses around, and added a drowsy little bee. Our pink patterns are a bit like the flowers in a proper country garden – they look just right together, but in a nice, unplanned sort of way. Pink Wallpaper is a soft, pretty and very traditional design which now joins Zinnias, Pink Hearts and Rose & Bee to complete the pinks collection. Our Milk Bottle vases are a lovely way to display just one or two flowers – the very first of the daffodils, perhaps, or a perfect rosebud snipped from the garden. This one looks beautiful in a row with other blue vases, or on a table set with Polka Dot pieces. Our new Polka Dot pieces feature colourful swirly writing to give this classic print a vibrant twist! Our zesty Marmalade pattern is now available to personalise! New Children's Range- Mary Mary! When they’re too big for Peter Rabbit, but not too big to love having their very own plate or mug, our cheeky Pirates are standing by to jump on board. Why? Because they arrrr…..
We've added to our original Starry Skies pattern and this charming milk bottle vase is one of our lovely new pieces! Our Blue Wallpaper print is now available in new shapes, including a 1/2 Pint Jug, Small Fluted Bowl, and plate! Sale Now On At Emma Bridgewater! Our winter sale is now on and we have some fantastic offers! As well as pieces from our existing range at tempting prices, you'll also find exclusive new patterns that we've produced especially for this sale. We've included details of our offers below, and some new banners have been loaded into the affiliate window interface for you to use. Raspberries, redcurrants, cherries and a bee buzzing through the fruitful Summer garden. This future archive pattern has been produced especially for sale. Beautiful hand-etched pieces - from elegant glass cake stands to everyday wine glasses and tumblers. You'll find a wide range of classic designs, as well as seasonal pieces - all at up to 40% off. A witty and cheerful selection of tea towels - perfect for matching with your favourite pottery. Tough and dependable, perfect for picnics and parties alike! Emma Bridgewater Christmas Product Launch! Hi Everyone! We hope this newsletter finds you all well! It's been an exciting week at Emma Bridgewater as we've launched our new Christmas range! We've brought back our Christmas Town pattern, and have a beautiful new Snowstorm pattern featuring some rather cute and winter-friendly animals! In addition to our Christmas lines, we have also brought out a fabulous bath and body range called Live Well Look Well , which has a selection of soaps, creams, lotions and candles in three delightful fragrances! Our Halloween mug is also now available to buy! We have some new banners for you to use in the affiliate window interface, and we've showcased some of the exciting products below as well! This year the Robin and Snowy Owl have come to join the Snowstorm pattern. A proper Christmas cake deserves a proper Christmas plate! Surround yourself with fig scented candles, twinkling tea-lights and glass baubles to make your home feel Christmassy. Our filled mini migs smell delicious and our new glass baubles will be a feature on your tree for years to come. New In! 2013 Halloween 1/2 Pint Mug! This year’s Halloween Mug celebrates the ghoulish gourd! Pumpkins plants in all their triffid-like glory smother this colourful, hand-sponged mug. Perfect for a warming brew on All Hallows’ Eve. New! Our Live Well Look Well Bath & Body Range! Emma wanted to create a range which makes every day a bit nicer, mined from evocative memories and travelling to France where master perfumers bottled three lovely fragrances- deliciously girly Love & Flowers, fresh and intriguing Tea & Oranges, and frankly addictive Black Iris. Like a dance round the kitchen, a cup of tea in bed, or half an hour with a good book, they’re the sort of little treats that make you walk taller and smile. Our fabulous iPhone 5 retro radio combines the style and sturdiness of a classic wireless with the ease and flawless sound quality of 21st century technology. All wrapped up in our beautiful Polka Dot print leather. Surely there could be no better marriage than the books that have been the soundtrack to a million bedtimes with our much loved traditional shapes. Looking for a bargain? Then look no further than the Emma Bridgewater Outlet! Win a £250 shopping spree at Seasalt! Whilst we’re never pleased to say goodbye to summer, autumn does have its compensations and chief among them is the launch of lots of brand new patterns! We've added some lovely new banners to the affilate window interface for you to use on your websites and some gorgeuos examples of our new pieces including Toast & Marmalde, Blue Skies, Polka Pansy and Peter rabbit are below! As you'd expect, our Marmalade pieces are perfect with (Black) Toast. Scattered with golden Seville oranges ready for the pot they are the perfect foil for Black Toast and our new Black Wallpaper. We've gone deep into blue this autumn. Midnight blue stars have been joined by a quartet of new patterns, all in rich cobalt. Mix it up with Splatter, Starry Toast and Blue Wallpaper alongside your existing Starry Skies. Sometimes the whole is greater than the sum of its parts, and we can't help feeling that's the case with our Pinks. Zinnias, Sampler & Pink Hearts were simply made for each other, so don't keep them apart! The Polka Dot family has blossomed this autumn with the new Polka Pansy, featuring a refined little pansy. We've also spiced up our Bakers with complimentary writing and introduced some brand new shapes. A very special project and one that is dear to Emma's heart. This range features Beatrix Potter's drawings on Emma's signature stoneware. There's Peter for boys and Flopsy for girls, both being available as boxed gift sets. New! Black & Blue Wallpaper! In the tradition of classic English floral design our Wallpaper pattern features an abundance of flower and foliage motifs in pretty cornflower blue & black! New! Year In The Country! Following on from the success of Tea In The Garden we bring you Matthew’s brand new, Autumnal design for Year In The Country where owls and foxes stand sentry over a night time view of a house not unlike Emma and Matthew’s. Give a truly unique present with one of our personalised pieces. Whether you're buying for a future farmer or just-starting-out jockey, they're sure to love this truly special gift. Celebrate the arrive of Prince George of Cambridge with our brand new 1/2 pint mug, the perfect addition to any collection of royal commemorative mugs (or the perfect foundation for one). As with all of our pottery it's British made at our factory in Stoke-on-Trent, following a long tradition of Staffordshire potteries marking Royal event in earthenware. News & Offers From Emma Bridgewater! We've had a busy week here at Emma Bridgewater! We've just launched a charity auction on eBay for a special and unique 'Royal Baby Gold Crown' to help raise money for Neonatal Intensive Care Unit at the University Hospital of North Staffordshire (UHNS) in Stoke-on-Trent. We've also got some lovely new products in stock, and we've got 3 for 2 on all of our melamine picnicware! Our eBay auction ends on Thursday 22nd August at midday and raises money for our Neonatal Intensive Care Unit at the Hospital of North Staffordshire. Our Prince George Royal Baby Crown is the perfect partner for our Royal Baby 1/2 Pint Mug and makes a delightful addition to any collection of Royal Memorabilia. As practical as it is decorative, our crown is perfect for storing jewellery or other precious keepsakes. 3 For 2 on Melamine! Make your picnic perfect with our 3 for 2 melamine offer! Simply add any three pieces to your basket and receive the cheapest item free of charge. We couldn't resist combining two beautiful mugs into special sets. Matthew's charming drawings make a perfect combination and will be a welcome present for any mug lover. Make sure you're dancing around your kitchen this Summer to retro tunes and add some style to your home with our stunning Polka Dot iPhone 5 Radio. http://www.awin1.com/cread.php?awinmid=2642&awinaffid=!!!id!! !&clickref=&p=Our fabulous iPhone 5 retro radio combines the style and sturdiness of a classic wireless with the ease and flawless sound quality of 21st century technology. All wrapped up in our beautiful Polka Dot print leather. On this deep, steel-handled tray, we bring you Matthew’s brand new, Autumnal design for Year In The Country where owls and foxes stand sentry over a night time view of a house not unlike Emma and Matthew’s. The tray features a rich border of oak leaves and acorns and is perhaps the best value Christmas present this year. Win Tickets To Leeds Castle! This week we’re celebrating the British Summer with afternoon tea in the garden, so we’ve teamed up with Leeds Castle to give you the chance to enjoy an afternoon in one of the most beautiful gardens in England! We also have ongoing competitions to win a Montezuma's picnic hamper with Montezuma's Chcolates, to win £350 worth of goodies with The Good Food Channel, and to win a Mr & Mrs Wedding set with Wedding magazine. All details can be found on our News & Events page. Please let me know if you have any questions. Kind Regards, Vikki; vikki@emmabridgewater.co.uk"
We can’t let this week pass without offering our heartiest congratulations to the Duke and Duchess of Cambridge; is there anything as wonderful as a brand new baby? (And a royal one at that). To mark the occasion we’ve produced a very special new mug, ‘Hooray for George’! Surely the coolest present for any new baby born this year? Keep Prince George company with a set of our Royal Baby pieces in Blue, personalised with the name and date of birth of your choice. If you or someone you know is having a baby this year then we think that these could be the ultimate present: our Royal Baby mugs and plate, in Pink, personalised with the new baby’s name and date of birth. As you can imagine it’s been a hive of activity here at Emma Bridgewater during our Summer Sale as we have a huge range of pieces on offer. To tempt you further, we have further reduced a large selection of our 1/2 pint mugs to only £7.50. And with free standard UK P&P on all orders, we are sure you will love this week's specials. In addition to our fabulous mugs offer, we've also got further reductions on some of our other ranges including I Love Chocolate and Skyline! 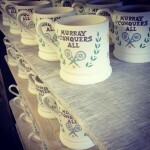 We have also produced a very special mug to celebrate Andy Murray's success at Wimbledon over the weekend. This is a limited time special, so make sure you secure one before they sell out! A summery sunflower mug to cheer you up first thing in the morning! A pretty & colourful flower mug from Emma Bridgewater! Shop for bargains, Seconds and Discontinued in our Sale. It's bargains galore, so don't miss out! The Poland also called The Polish, is a chicken that Matthew is very fond of. With its large crest of feather adorning its head, the Poland makes for an interesting subject and great 1/2 Pint Mug. You can never forget the image of a Woodcock flitting around on the snow, so encapsulate the wintery season by warming yourself up with hot tea or coffee in this gorgeous Woodcock mug. Is there anything so cheerful as a row of bright orange marigolds? (Quite apart from their wondrous ability to deter pests in the vegetable garden). To celebrate their colour and all-round marvellousness we've given them their very own mug. The Black Bird is a Bird that we are all familiar with, we see it in the garden with its bright yellow beak and black shiny feathers. Now it has flown on to one of our mugs too. Further Reductions- I Love Chocolate! Our 2 Cup teapot is a fun and funky way of telling someone that you love them. We think that tea in bed, served from this glorious pot would be a lovely way of letting someone know just what they mean to you. What's not to love about this tea towel? Its two-colour design is incredibly pleasing even without stopping to study the details. And, on closer examination it reveals itself to be a tour around our capital's most iconic buildings and monuments, punctuated by a deep orange setting sun. NEW IN! Andy Murray Mug! Never one to miss a celebration, Emma Bridgewater are first out with the victorious Wimbledon mug. Buy it today and be first in the queue. Buy three and win the set! If you haven’t yet visited our sale, now is a very good moment. We’ve just made further reductions across the range so you’ll find special patterns and offers galore, now at even greater savings. Don't forget we're also offering free standard UK P&P to all our customers so now is the perfect time to snap up that special piece that you've been longing for. Coronation- Up to 70% Off! There are still a selection of products left from our Coronation range including this commemorative 8 1/2"" plate! Blue Alphabet- Up to 70% Off! Our Blue Alphabet baby pieces make an adorable christening present! Bunnies - Up to 70% Off! Utterly adorable this brand new pattern was designed for children but is just as popular with adults! I Love You More Than Chocolate - Up to 70% Off! Who do you love more than chocolate? We still have selection of products from this range, with some up to 70% off! Our very popular seconds Mr & Mrs Teapot is reduced! If you’re kitting out a new house, or just fancy a cupboard makeover our 6 for 5 offer is for you. Choose 6 bowls for the price of 5, perfect! We don’t think you can ever have too many, and now is the perfect time to stock up on our pretty, witty and wise tea towels: buy 2 for £10 here. The wait is almost over! The Emma Bridgewater Summer Sale begins on Thursday 27th June at 1pm! There will be a range of tempting offers online and we've got two exclusive new patterns at special sale prices. There will be some amazing discounts and offers across the rest of our range with some items with up to 50% off. There's also free standard UK P&P and £10 postage on all international orders. This proves to be one of the busiest times of year for Emma Bridgewater so be sure to promote this in your newsletters to maximise your commission! We've also updated the interface with new banners for you to use. Please note the links to the products and categories will be live on Thursday. NEW IN ESPECIALLY FOR THE SALE! Two special patterns for a very special sale! This summer we bring you beautiful (brand new) Blossom and chic Coral which first appeared for a blink-and-you’ll-miss-it moment back in 1986 so it’s back in new colours for a long overdue revival. Alongside our Summer Specials we have great discounts across the range so if you’ve been hankering after something, now is the time to buy, but stock is limited and things do sell out so don’t delay. Our new Skyline range will be included in the sale! Pink Eggs 1/2 Pint Mug! Our Pink Eggs Mug launched this Spring will be in the sale! A Selection of products from our popular Pink hearts range will be included in the sale! Our seconds Mr & Mrs Teapot will be reduced! If you’re kitting out a new house, or just fancy a cupboard makeover our 6 for 5 offer is for you. Choose 6 mugs for the price of 5. Perfect! Father's Day Gifts, Wedding Gifts... PLUS 50% Off Our Beautiful Coronation Range! We've got a fabulous range of Coronation pottery pieces and gifts! What's more, there's 50% off the whole range at the moment! We've added some banners to the Affiliate Window interface for you to use so please be sure to communicate to your customers as this promotion is proving very popular! 50% Off Our Coronation Range! Celebrate The 60Th Anniversary Of The Queen's Coronation With Our Regal Range! Crown Dad King This Father's Day! Make Father's Day Special With An Emma Bridgewater Gift! Get Your Hands On Our Glass! Many people have commented that it's high time that we added to our range of glass tableware and hey presto, we've done just that with this smaller version of our wonderfully heavy glass tumbler, which is perfect for water at meals or for drinks at any other time of day. Flood You Home With Warm Pools Of Light Cast By One Of Our Beautiful Lamps! Casting pools of warmest light throughout your home, our lovely lamps are essential for autumn. Back by popular demand, they come in 2 different sizes, and will illuminate every corner of your house, from bedside table to kitchen dresser. Keep Your Biscuits & Cakes Air-Tight & Fresh In Our Tinware! We've added a sampler pattern radio to our very popular polka dot version! Choose From Our Fabulous range Of Wedding Gifts! We've thought of everyone! We have presents for under £10 that will make your friends and family very happy! We have lots of fabulous offers on at Emma Bridgewater at the moment, and this Bank Holiday we're adding another lovely discount to brighten up your weekend! From Thursday 23rd May until the end of Bank Holiday Monday there will be a 15% discount on The Emma Bridgewater website- Plus there's FREE UK P&P and International Shipping will be a flat rate of £10! Brighten up your Spring with our with our 2 for £15 Tea Towel offer. Add 2 tea towels of any pattern to your basket and pay only £15! 6 For 5 In The Outlet Until Sunday 2nd June! There's 6 For 5 on selected shapes in the outlet until Sunday 2nd June! 3 For 2 on Melamine Until Sunday 2nd June! Get 3 for 2 on our hard wearing melamine- pretty picnicware that's perfect for Summer! 2 For £15 On Tea Towels At Emma Bridgewater & 6 For 5 On Selected Mugs, Bowls & Plates From The Outlet Starts Tomorrow! Hi All, We hope you're well and busy! Just to let you know we have two new promotions happening this week! Beginning on Wednesday 15th May there's 2 for £15 on all Tea Towels, and we also have 6 for 5 on selected Mugs, Bowls and Plates from the outlet! 2 For £15 On Tea Towels! Our bright & beautiful tea towels are enough to cheer up any household chore! Get 2 For £15 From Wednesday 15th May until Thursday 23rd May! 6 For 5 On Selected Seconds Shapes From The Outlet! Glass vases form the perfect, neutral backdrop to any display (and, we think, look particularly smart). Just be sure to keep the water fresh and clean, Sarah Raven swears by putting a drop of bleach in the water (which sounds drastic but will slow down the bacteria growth keeping the water fresh), only half a teaspoon mind, any more might kill the flowers! Coronation Range! Celebrate the 60th Anniversary Of The Queen's Coronation With Our Regal Purple Range! Using the visual language of the great mid-century designers Ravilious, Bawden and Guyatt our beautiful two-handled mug celebrates the 60th anniversary of the Queen's coronation with a hand-drawn depiction of Westminster Abbey. It will make a lovely addition to a collection of commemorative Royal mugs, or if you're yet to amass one, make a start with this. RESTOCKED! Polka Dots Melamine Set! A children’s afternoon tea party for four, is all the more glamorous with this Polka Dot Melamine Dollies' Tea Set. Little girls and boys will love the colourful dots on this Melamine Tea Set. It makes a really thoughtful gift that will give hours of fun. Sampler radio! Stay Tuned With Emma Bridgewater! We've introduced another beautiful design to our retro radio range! Wrapped in loveliness this Sampler radio combines the style and sturdiness of a classic wireless with the ease and flawless sound quality of 21st century technology. FATHER'S DAY! It's On The 16th June! Show Dad how great he is on Father’s Day with one of these fun new ‘Dad Is King’ products from Emma Bridgewater. Albums & Journals! ... We don't just sell Glass & Pottery At Emma Bridgewater! Store away your photos in a beautiful binder or jot down your notes in a journal! Now is definitely the time to buy that treasured gift for the bride & groom! Just to let you know it's only £10 P&P for all international orders from 9am Friday 10th May until EOD Monday 13th May! Emma Bridgewater 20% Off ALL glassware until Tuesday 14th May! PLUS Free UK P&P! There's 20% off all Emma Bridgewater Glassware from Wednesday 8th May until midnight Tuesday 14th May! If you don't know our glass it's well worth getting your hands on it! It's thick, heavy and seriously glamorous! Banners will be live from Wednesday 8th May for you to use! Apply to the Emma Bridgewater program- our affiliate ID is 2642. Grandpas and Grandmas countrywide like to dole out sweets. This generous Sweetie Jar will swallow up the Quality Streets very well indeed. Our glass is heavy and very glamorous. This Small Wine Glass is mouth-blown using traditional methods by master craftsmen. As the wording says, it's perfect for both Red & White. Trifle is my favourite, but this Glassware Trifle Bowl looks just as good full of fruit. Our glass just got even more glamorous with our new Glass Pitcher - perfect for making batches of lovely fresh lemonade to be enjoyed in the garden in the summer sun. Matthew loves this broad bottomed and lustrous piece and cannot wait to fill it with peones or roses. Our glass beer jug is perfect for a frothing pint of anything you fancy and is particularly handsome. A great present for the boys. Etched with "Cider & Beer". You choose. Elegant filled with champagne, this Emma Bridgewater Black Toast Glass Flute will strike a celebratory note this winter. Beautiful filled with fizz this Glassware Flute also makes the perfect vessel for a single stem. Make every morning special, whatever the day. Turn your morning slice of toast and honey into a really indulgent treat, every day of the week. Decant your honey into our lovely jam pot, and every morning will feel really special. With an elegant, snugly fitting lid, complete with hole for a teaspoon and with elegant lettering spelling HONEY & MARMALADE. http://www.awin1.com/cread.php?awinmid=2642&awinaffid=!!!id!! !&clickref=&p=This beautiful Glassware Cake Stand is hand spun by master craftsman who have trained for years to produce these pieces. We're very proud of them. Here comes the sun! Celebrate with 3 daily offers this weekend. It's going to be a sunny weekend in the UK, and the thought of all this heat has gone to our heads! We're not only offering free UK P&P off everything online but we're doing a special deal a day! On Friday there will be 3 for 2 on our melamine products, on Saturday there's going to be 20% off glass, and to finish the extravaganza, on Sunday we're offering 4 for the price of 3 on selected mugs! Free P&P On All Orders Friday 12th April Until Midnight Sunday 14th April! Take advantage of out free UK postage offer this sunny weekend! 3 For The Price Of 2 On Melamine Picnicware! The summery weekend should get you in the mood for a picnic! Stock up on our melamine picnicware this Friday 12th April! 20% Off Glass Saturday 13th April! Our glassware is thick, heavy and seriously glamorous! Treat yourself this Saturday with this fabulous offer! 4 For The Price Of 3 On Selected Mugs Sunday 14th April! Buy four fabulous mugs and only pay for three this Sunday only! The Emma Bridgewater Spring Sale is still on, with some of our favourite lines reduced by up to 50% off the RRP! Choose from Luxurious Lustre, Perfect Pink Eggs, or Galliant Great Britain! We've picked some of our favourites below along with some of our top picks for under £5! Pink Eggs Milk Bottle - Reduced from £29.95 to £14.95! Emma uses this charming Milk Bottle as a vase, filling it with Chocolate Cosmos, Nerines or Pink Zinnias. It's perfect for a breakfast tray or a window sill and offers an economical and stylish way of doing flowers. Lustre 6 Pint Jug (Boxed) - Reduced from £150 to £75! Fans will know that an Emma Bridgewater 6 pint jug is a somewhat rare and very collectable piece. In this case it also provides a suitably generous canvas for our iridescent, deep raspberry pink lustre. It will look stunning displayed all on its own but we particularly like it crammed full of flowers at the centre of your table. 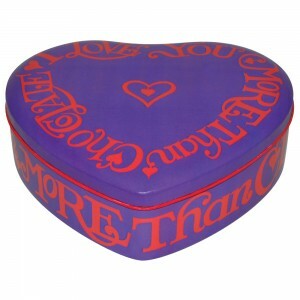 It comes in a beautiful Lustre print box surrounded in black tissue which makes giving it as a present a cinch. These pretty Emma Bridgewater Great Britain French Bowls are chic and pretty. A great way to serve pudding and show off to your guests. A fabulous pattern to mix n' match with Starry Skies or Union Jack. Matthew has created a charming depiction of the most famous parts of London including monuments, architecture and bridges, to celebrate Wonderful London 2012. An unashamedly celebratory Diamond Jubilee pattern, this Diamond Jubilee Steadfast and True Tea Towel celebrates 60 years of Queen Elizabeth's reign. With 'God Save The Queen', 'Diamond Jubilee' and 'Steadfast & True' upon it, complete with lions, crowns and even a Corgi (of course). Will there ever be another year when London feels like the World's capital city? It’s a good feeling and we have celebrated with a series of London designs. Colourful London is the latest of these and it promises to be a winner. Spring (or is it the lack of it?) has gone to our heads and we’ve decided it’s time for a sale. So, for a very limited period, you’ll find some of our most gorgeous patterns and pieces, including the Pink Eggs range, at discounts of up to 50% off the original RRP. Our sale will begin tomorrow (Friday 5th April). Our Chocolate Teapot Is Here! A Great Alternative To An Easter Egg! Just to let you know our rather delicious alternative to an Easter egg is now available to buy online! Made from luxury Montezuma chocolate, and using the Emma Bridgewater teapot shape to create the mould this unusual Easter idea is quirky and fun..... and as much use as a chocolate teapot! As much use as a chocolate teapot! It's a good joke, and in this case a delicious one. Emma says that she's much too greedy when it comes to chocolate, so it would be a hollow joke if the chocolate wasn't good which is why we used Montezuma chocolate for this fun easter gift! Please let me know if you have any questions. Kind regards, Vikki@emmabridgewater.co.uk"
As our gift to you this Mother's Day we're doing a special 15% discount all day Sunday 10th March. This great offer applies to all products and is valid all day. The discount will be applied at checkout. Why not treat someone to one of our beautiful Easter gifts! We love valentine's day at Emma Bridgewater, so as a special treat we're offering 14% off all non-discounted products on the 14th February. No code is required and discount will automatically be applied.